Baptised: 29th September 1872, Nacton, Suffolk. Parents: Henry & Sarah Bristo. Died: On or since: 25th May 1915; age 42; KiA. Date of Entry Therein: 3rd May 1915 – France. 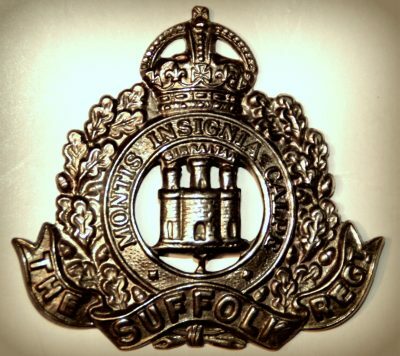 Rank: Corporal; Service Number: 18688; Regiment: Suffolk Regiment, 1st Battalion. Relatives Notified & Address: Son of Henry Bristo, of 46, Cobbold Street, Ipswich; husband of E. Bristo, of 12, Rainbow Square, North Quay, Great Yarmouth, Norfolk. 1881 3, Palmerstone Road, Ipswich. Edmund was 9 years old and living with parents & siblings. Henry Bristo, 38, a Coachman, born Blakenham, Suffolk. Mary A. Bristo, 43, born Creeting St. Mary, Suffolk. William George Bristo, 14, born Nacton, Ipswich. Jane Kate Bristo, 12, born Nacton. Frances Bristo, 9, born Nacton. Frederick Bristo, 8, born Nacton. Horace Bristo, 3, born Ipswich. 1891 St. Botolph, Colchester, Essex. Edmund was 18 years old, a Soldier ranked Private in the Suffolk Regiment. Edmund was 28 years old, a Soldier, 1st Suffolk Regiment – Reserve. He was married & Head of the Household. 1911 High Street, Sproughton, Suffolk. Edmund was 38 years old, a Domestic Gardener – employer. He was Head of the household. Horace Percy Bristo, born July 1898, Ipswich. Frederick William Bristo, born 1900, Ipswich – died 1901, Ipswich. Beatrice May Bristo, born 1903, Ipswich. Basil Bloomfield Bristo, born 1904, Ipswich. William Charles Bristo, born 1905, Ipswich. Edna A. Bristo, born 1913, Ipswich. Edmund is also remembered on the war memorial at Great Yarmouth, Norfolk.